I want to share with you one of my favorite grocery store items. Chorizo! And not just any chorizo… This particular chorizo is FANTASTICALLY delicious while also maintaining a low fat content. While I have no qualms with high-fat animal products, I am notably impressed when a lean sausage makes my taste buds happy. Most sausages are great because of their high fat and high protein combination. But for those who choose not to eat pork or red-meat, alternative sausages are often a disappointing choice. A yummy lean sausage is difficult to accomplish since it’s the fat from the pork (particularly in chorizo) that lends to the moisture and flavor. Turkey meat is especially notorious for lacking these things, but not this time! Diestel’s Turkey Chorizo was a fantastic addition to my grocery list. If you ever happen upon it in the store, grab some and make this delicious, filling meal! In a bowl, combine meat, almond flour, egg, 1/2 of the diced jalapeño, carrot, onion, garlic, cilantro, and salt/pepper. Using your hands is advised. Grease a 8×8 glass baking dish and press mixture evenly into the dish. Bake for 40 mins or until internal temperature reaches 155 degrees. In a small skillet, heat some coconut oil and sauté the remaining jalapeño until soft. 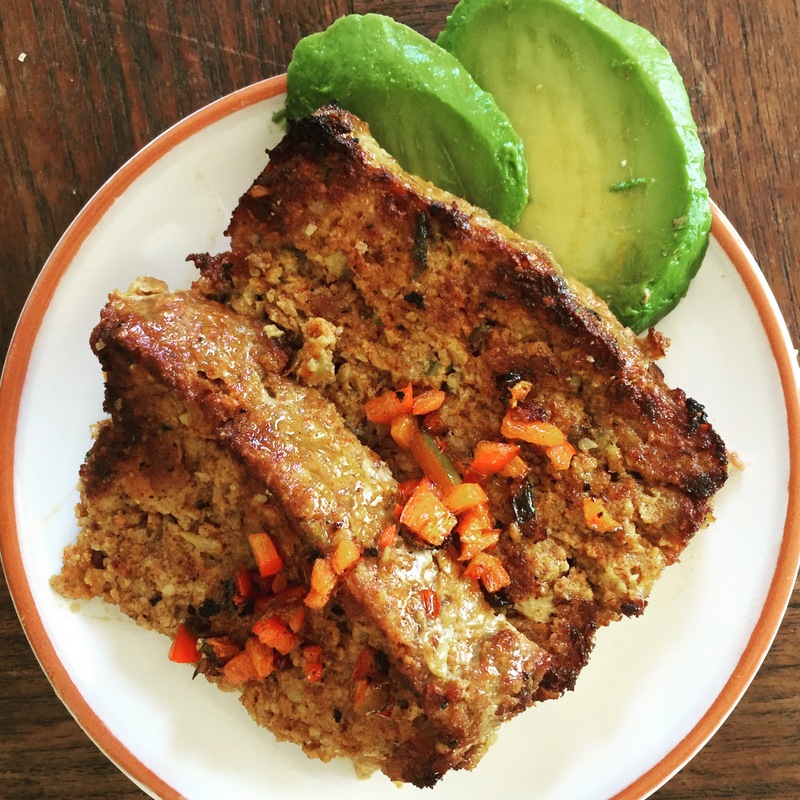 Once meatloaf cools a bit, slice and serve with avocado and jalapeño garnish!